BRYAN EATON/Staff photo. 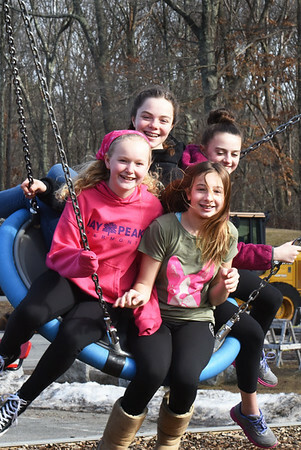 Sixth-graders have fun on a giant swing at Newbury Elementary School at recess on Monday afternoon. Clockwise, from left, are, Aby Joyner, 12, Josie Robertson, 11, Nola Bowes, 12, and Alle Scipione, 12.